First of all, I would like to express my immense gratitude to the support and trust given by the members of the BACU who recommended I run for the Presidency of this Union. I have been a member of the BACU since January of 1980 as a bricklayer. I worked on the tools for over 20 years and in 1995 became president of Local 1 Hamilton. 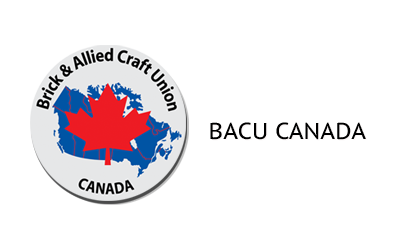 In 2005 I became the business manager of Local 1 and subsequently became the President of the BACU in 2017. It was an honour to work for Local 1 Hamilton as the president and the business manager. I was able to learn a great deal. I have many valuable experiences and memories to bring to my new role as President of the Brick and Allied Craft Union of Canada-Ontario Provincial Council. More than ever, working people in the construction sector need a strong union representation that will provide them with economic and social justice. Together we will improve work standards and win the respect of others on the job. We recognize the challenges workers face in the industry and negotiate protections for members on issues that are important to them. This union has strong collective agreements, and has won significant gains for bricklayers, tile setters etc. and has the strength to take on the employers. I am proud to say we have in place, a quality executive team that will ensure focus in the key areas. I am looking forward to working with them to implement the strategies that have been developed. I would like to thank all the sub-organization. Throughout the last year, they have organized successful projects such as the Convention 2017 held in Blue Mountain, Collingwood and the Scholarship Golf Tournament at Hockley Valley raising $21,000.00 for our member’s children to attend college. Because of the continuous effort given by the members, the Union has been developing maturely. Brick had a late start in 2017 with members not getting on site until May but it did not slow down until Christmas because of the good weather. Prospects for 2018 are encouraging with many projects beginning. There has been some progress in refractory work in 2017 and if the economy holds up, manufacturing escalates, and therefore maintenance work is needed; which puts members to work. Hamilton Steelco looks like they are going to reopen the blast furnace, kiln work is also looking productive and going forward, work in the Northern part of the province will start to benefit from this growing economy. Tile has been very slow in 2017 but if we remain patient the projects that started in 2017 will be ready for the finishing touches which will includes the interior finishes. The state of our economy is in flux. Every single day, the stock market goes up or goes down or stays the same but BACU members will persevere. The outlook for 2018 for all the BACU trades is very favourable! We now have a working Health & Safety Committee. Your committee members are Brian Pringle (Local 5), Rob Roppa (Local 31), Tristan Rawlins (Local 2) and Dave Vorich (Local 31). This team has been working very hard over the past months and has put forth forward ideas and recommendations for the safety concerns of all BACU members which are very progressive. They have developed a library, recording work place injuries and incidents so we can learn and avoid future occurrences. Documenting all safety concerns is imperative to decide what needs to be done or whether to bring back to the IHSA Committee for review. Please be sure and contact your Local representative and report all accidents for future documentation. I feel very privileged and honoured to acknowledge the achievements of our brilliant students who have made both the BACU and their parents proud. This program is held to recognize the young talents who have made an immense contribution. These impressive students exhibit qualities that will help them in achieving their goals. Global receipts will be distributed February 28, 2018. Please note that if you have not received your documents, please give ten days for possible disrupted mail service. Lastly, I want to take this opportunity to thank the outgoing President Kerry Wilson for the work he has undertaken over the past 12 years. As a Union we have a proud history, strong relationships, a group of committed members who have talent and the ability to take our Union to the next level. My key goal is to help the Union achieve the goals we set for ourselves, work closely with our affiliates, and to support each other. I look forward to the challenges ahead. In closing I would like to thank all of the executive board members, business managers, and local representatives for all of their hard work throughout the years and I look forward to working with and for all of you in the coming days.